Tesla is undergoing another executive shakeup, and investors are nervous. Shares of Tesla (TSLA) fell 6.3% to a five-month low on Friday after the company disclosed that its chief accounting officer resigned less than a month after he assumed the job. Bloomberg News also reported that Tesla's chief people officer, Gaby Toledano, is not returning to the company after taking a leave. In an email to employees, CEO Elon Musk said Toledano was on leave to "spend more time with her family and has decided to continue doing so for personal reasons." Musk also announced a few title changes, including a promotion for Jerome Guillen, former vice president of sales and services, who has been named president of Tesla automotive and will report directly to Musk. Musk did not name a new accounting executive or specify who is taking on Toledano's duties. The departures add to investor concern about a company in tumult. 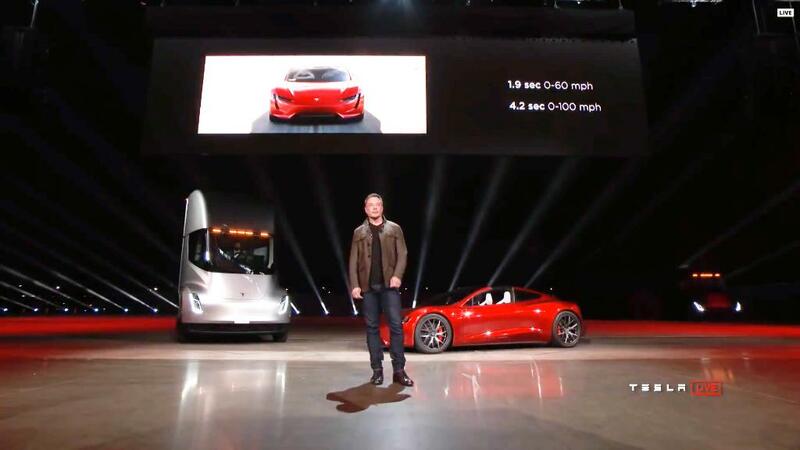 CEO Elon Musk devised and then quickly canceled a plan to take the company private. A podcast appearance Thursday night featuring whiskey, a joint and a Samurai sword was only the latest example of Musk's eccentric behavior. Tesla stock has lost a third of its value since August 7, the day Musk announced the go-private plan. Dave Morton, a former chief financial officer at Seagate (STX), had joined Tesla on August 6 as chief accounting officer. That was the day before Musk announced his plans to take the company private via tweet. "Since I joined Tesla on August 6th, the level of public attention placed on the company, as well as the pace within the company, have exceeded my expectations," said a statement from Morton released by the company in a filing with the Securities and Exchange Commission. "As a result, this caused me to reconsider my future. "I want to be clear that I believe strongly in Tesla, its mission, and its future prospects, and I have no disagreements with Tesla's leadership or its financial reporting," he added. Toledano, one of the top executives at the company, reports directly to Musk. She joined Tesla only 16 months ago. She has an impressive resume: She served 10 years on the executive team at Electronic Arts (EA), which followed a job leading human resources at Siebel Systems and time at Microsoft (MSFT) and Oracle (ORCL). She sits on the boards of four tech companies. Musk talked in a New York Times interview last month about the stress that Tesla is putting on him personally as he works 120 hours a week, sleeping at the factory, cut off from family and friends. Numerous experts have suggested the company's board needs to be taking steps to make sure he doesn't burn out. Several analysts have argued the company needs to hire a chief operating officer to help management the company and bring stability to its day-to-day operations. The turnover among top executives should concern investors who wanted more stability at Tesla, said John Wilson, head of research and corporate governance at Cornerstone Capital Group. He called the executive departures another red flag. "He's a visionary ... but his job is to be catalyst, the inspiration, not necessarily the person to make it happen day after day after day," Wilson said. "His brilliance can't shine if he doesn't have that bench of executive strength." In addition to Morton and Toledano, the company has recently lost a number of other top executives, including Doug Field, who left his job as Tesla senior vice president of engineering in July and returned to Apple (AAPL) where he had previously worked. Field was one of the top five executives at Tesla. Field left after Musk took over his duties overseeing manufacturing. Tesla has struggled to hit production targets for its new cars. Tesla also lost Eric Branderiz, Morton's predecessor as chief accounting officer, in March. Branderiz left for "personal reasons" after just 17 months in the job.